Since the publication of my thesis in January 2016 there have been many attacks on my PhD thesis in the mainstream Australian media with false information. Journalists are not reporting on the risks of vaccines in the Australian media and the Australian Media Communications Authority (AMCA) is supporting the lack of balance provided by journalists on the issue of vaccination in the media. This is being done by claiming the risks of this medical intervention are ‘anti-vaccination’. Journalists are being permitted to dismiss my evidence-based research in the media as being a ‘conspiracy theory’ by an ‘anti-vaxxer’. These labels are misrepresenting the academic research that I am presenting to the public on vaccination policies. My thesis concludes that there is no evidence for mandatory vaccination and this is different to framing the research as ‘anti-vaccination’. This false framing is also allowing journalists to not report on the case for choice in all medical interventions. This is a fundamental right of all individuals and this is the debate that Australians want to have, but we do not have a media that will present this public interest case for debate in public forums. Bullying and abusive labels in the media are also hindering the academic debate on vaccines. This is despite the fact that vaccination is a medical intervention for healthy people and it is in the public interest to debate the risks of vaccines in a genetically diverse population – not dismiss it as ‘anti-vaccination material‘. This is particularly the case as the vaccination program has expanded with many new vaccines being introduced in the 1990’s with the use of coercive financial measures to increase the uptake rate of all the recommended vaccines. These new vaccines have now been mandated into Australian social services policies (not health policies) in 2016 without public debate or scrutiny. This is largely because of the industry-associated lobby groups such as the Australian Medical Association (AMA), a body that represents only ~27% of doctors nationally, and SAVN that is a non-scientific facebook group that was set up by the Australian Skeptics Incorporated in 2009 and is influential in the offical channels for academic and public debate despite their lack of qualifications on vaccination science. The Australian Skeptics Inc is a non-scientific lobby group that uses industry-funded scientists to promote corporate interests in Australian government policy. They are a well funded lobby group with influence in all mainstream media, many internet blogs and with politicians. They are fundamental in educating the public with false and misleading information about vaccine safety and efficacy. In September 2018 Peter McIntyre, former director of the government National Centre for Immunisation Research and Surveillance (NCIRS), was drafted into a case before the Federal Circuit Court in Brisbane, out of proceedings, to address my affidavit in this case. The day before he submitted his affidavit to the court (24 September 2018), the government’s team leaked my affidavit to the mainstream media – the Sydney Morning Herald (SMH) (23 September 2018). Not only did the journalist quote from my affidavit out of context in the SMH but Peter McIntyre was quoted in the same article providing misinformation about my research and qualifications. It is a federal crime to leak an expert witness report to the media before it is heard in court and this incident is currently being investigated by the Australian Federal Police. Here is the summary document of the false information that has been presented in the mainstream media about my research – Summary of Peter McIntyre’s False Comments about my Research. Peter McIntyre’s Involvement in an article in the Vaccine Journal Providing False Information about my PhD. In 2019, three years after my thesis was published by the University of Wollongong, two former directors of the government NCIRS have published a critique of my thesis in the Vaccine Journal titled ‘PhD thesis opposing immunisation: Failure of academic rigour‘ by Wiley, Leask, Burgess, McIntyre’. It is important to note that my PhD did not oppose immunisation. It presented the evidence that opposes mandatory vaccination – these are two different postions. 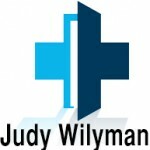 Here is my response to this article – Judy Wilyman Responds to the Article in Vaccine (2019) by Former Government Policy Advisors (McIntyre/Burgess) and Researchers (Leask/Wiley). McIntyre and Burgess have been representatives of the government National Centre for Immunisation Research and Surveillance (NCIRS) unit for over 20 years and therefore they have been influencing vaccination policy decisions over the last two decades. They have a significant conflict of interest in writing this critique of my PhD thesis because they are defending their recommendations in this policy. Leask and Wiley are also based at the University of Sydney with the NCIRS and are involved in research for this department. My PhD thesis does not oppose vaccination. I undertook an investigation to determine what role vaccines have played in controlling infectious diseases in Australia. These authors have misinformed the public about my investigation and they have misrepresented its content and conclusions. Peter McIntyre has supported ~60 academics at the University of Wollongong to promote the government’s claims about vaccine safety and efficacy on the University of Wollongong website (January 2016) even though these academics have never researched the science in the government’s vaccination policies. This occurred immediately after my in-depth PhD thesis was published on the UOW website. This is deceiving the public about the validity of the government’s claims about vaccine safety and efficacy. Peter McIntyre was involved in a court case in September 2018 in which my affidavit was leaked to the Sydney Morning Herald and he is quoted in this SMH article making false claims about my qualifications and my PhD research. The leaking of my affidavit is currently being investigated by the Australian Federal Police as it is a federal crime to leak an expert witness report to the media when it is still before the courts.